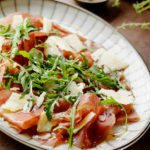 Serve this dish as the antipasto to warm up the tastebuds at the start of this feast. Whisk together lemon juice and oil. 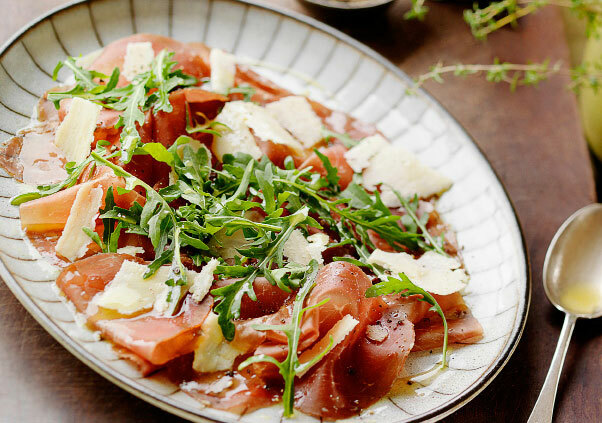 Arrange bresaola, parmesan and rocket on a platter. Season. Drizzle over dressing and serve.